Phil Plantier worked to make the Red Sox in spring 1991. His manager just wanted Plantier to focus on improving his game further. "Plantier is something else," Red Sox manager Joe Morgan told The Associated Press that March. "I told him just the other day to forget about the numbers (competition) and work on getting ready for the season. He has a very aggressive swing." 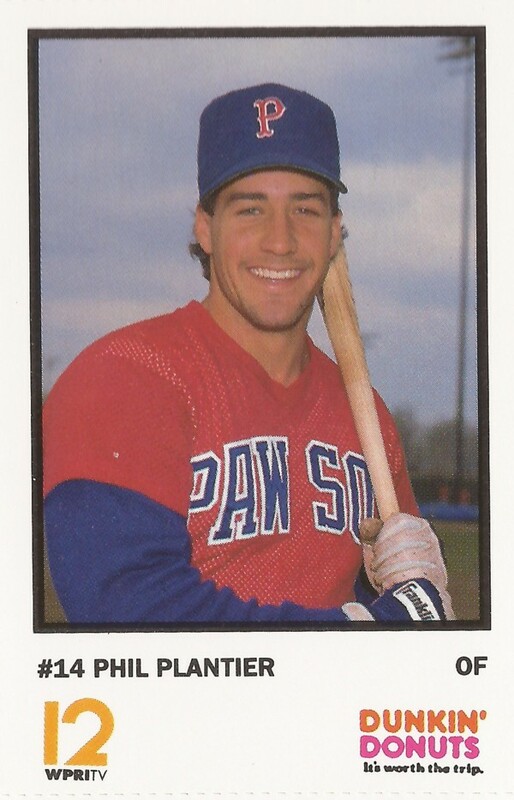 Coming off a season where he hit 33 home runs at AAA Pawtucket and got 14 games with the Red Sox, Plantier didn't make the Red Sox out of spring training in 1991. But he did make it up by June and in parts of the eight seasons total. Plantier's career began in 1987, taken by the Red Sox in the 11th round of the draft, out of Poway High School in California. He played his first year at short-season Elmira, then moved to single-A Winter Haven in 1988. In his first two seasons, he hit six home runs total. In his third, at single-A Lynchburg, he hit 27. He then hit the 33 at Pawtucket in 1990. In his 14 games with Boston in 1990, called up in August, Plantier got two hits in 15 at bats. When he got back to Boston in 1991, Plantier got into 53 games. He also picked up his first 11 major league home runs. One of his home runs helped Boston to an August win. For 1992, Plantier became a regular in Boston. Getting into 108 games. But he hit just seven home runs. And his batting average was just .246. The Red Sox then traded Plantier to the Padres. And he found his home run stroke. That first year for the Padres, Plantier hit 34, with 100 RBIs. "Let's just say I feel really thankful I'm healthy," Plantier told The AP as he closed in on 30 home runs. "Since last year was a bust, I really had to prove myself all over again and at the same time do it to a new organization." It was Plantier's best season. He stayed with the Padres through 1994, hitting .220 that year. For 1995, the Padres sent Plantier to the Astros in a 12-player deal. Plantier's stay there, though was brief. In July, he was traded back to the Padres. He played in just two more seasons, 73 games with Oakland in 1996, then 52 between the Cardinals and the Padres in 1997. Plantier has gone on to a post-playing career that's seen him manage in the minors and coach in the majors. In 2009, he was manager of the AA West Tennessee Diamond Jaxx. In 2011, he headed up the Lake Elsinore Storm. In 2012, Plantier is hitting coach for the Padres in San Diego. "Ultimately, we have skilled people," Plantier told reporters after being introduced as hitting coach in November 2011. "We do need to get better in a lot of areas. It's a process . . . mentally and mechanically. We have a lot of information. There is a lot of grass to hit at Petco Park. I believe in a doubles mentality."